Ha! This picture is great! 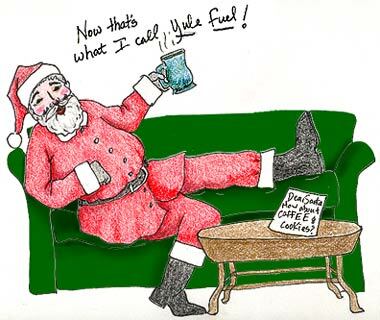 I knew that Santa must love coffee since he has so many late nights.